Athough iTunes is a great place for us to get digital media content online, the DRM restrictions on the iTunes movies and TV shows seriously impact user experience in enjoying the media on different devices and platforms. Due to the DRM, digital rights management, we are not able to play iTunes videos on non-iTunes compatible devices. In this case, in order to free iTunes users from the DRM trap, DRmare M4V Converter is here to help. It’s a smart and straightforward tool well designed to crack DRM protection from iTunes movie rentals, purchases, TV episodes, music videos and iTunes Extras and convert the encrypted M4V format to MP4 or others supported by all popular media playing devices. Here we’ll make a full review of this iTunes DRM remover so you’ll get a better understanding on how this DRM M4V converter works in getting back the full ownership of the iTunes movies for you. The main screen of DRmare M4V Converter is well split into 3 parts: the top menu, the bottom menu and the working area in the middle. It is easy enough for everyone to handle without going through the tutorial. When it comes to the main functions of this smart iTunes DRM removal tool, there are some differences between Windows and Mac versions. 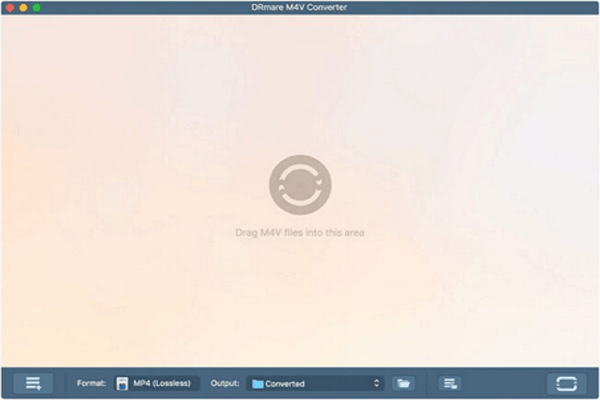 The DRmare M4V Converter for Windows is special for converting iTunes M4V videos to lossless files as it only supports lossless MP4 and M4V output formats. Meanwhile, the Mac version goes a further step as it supports multiple output formats like lossless MP4, M4V, HD MP4, M4V, AVI, MKV, MOV, MPG, TS, TRP, MP3 and many devices such as iPhone, iPad, Apple TV, Galaxy, Motorala Droid, Xbox, Playstation, Smart TV. 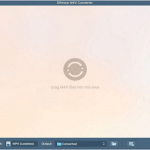 With all the output formats, you can convert the iTunes videos to play on any device. Except the format difference, other settings of the two versions are the same. 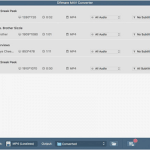 You can customize the subtitles, audio tracks, output folder etc. on both to make your new videos looks more personalized. 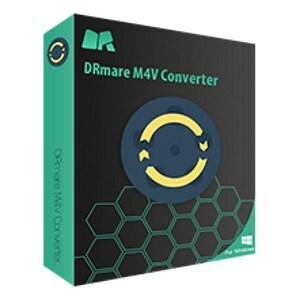 As a leading-edge iTunes video converter, DRmare M4V Converter is developed with the latest DRM decryption algorithm which promises high performance. Generally speaking, it can run AT 30X faster which is the fastest converter you can find in the market currently. But please note the conversion speed may vary on different computers with different systems, CPU, GPU, memory and background running programs, etc. For example, the Windows version is faster than the Mac version as the Windows computer doesn’t have the complex encryption of FairPlay. Besides the fast converting speed, it can keep the lossless quality if you pick up the output format as MP4(Lossless) or M4V(Lossless). This means the original subtitle, closed captions, 5.1 AC3 audio track and all other quality can be preserved as the same with the original iTunes movies. It is typically easy to use and the DRM removal process will be done with a few clicks only. In general, it takes only 4 steps to convert your DRM-locked iTunes M4V to other videos. You just need to add the iTunes video files, customize the output settings, click ‘Convert’ button and go to the output folder to find the converted DRM-free videos. Provided with a free trial version for both OS, DRmare M4V Converter is sold at $44.95 for single user license and $69.95 for family package. And if you are using both Mac and Windows computers, you can get the special bundle that includes those two products at $54.95 only, with a 50% discount. 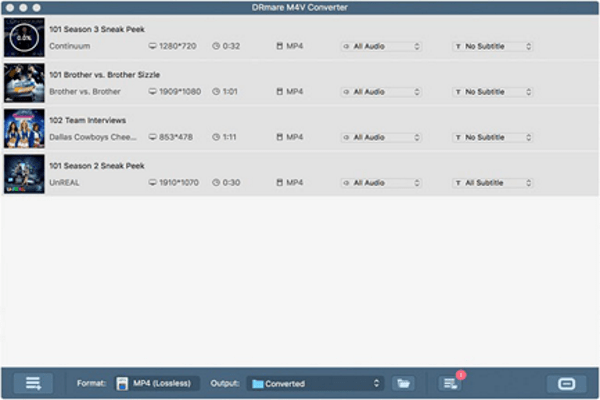 DRmare M4V Converter supports both Mac and Windows systems with the latest iTunes. It works smoothly on Windows XP, Vista, Win 7, Win 8, Windows 10, as well as macOS 10.12 Sierra, OS X 10.11 EI Capitan, 10.10, 10.9, 10.8. 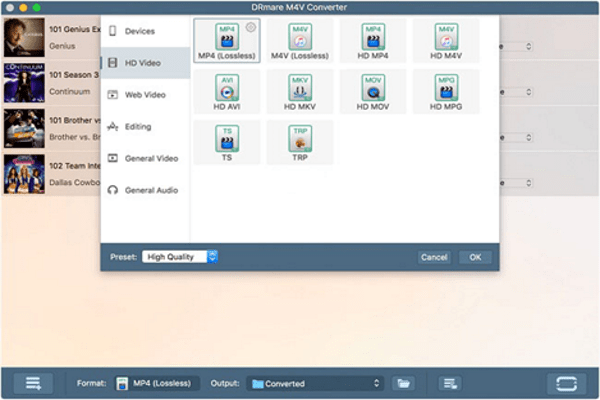 Since video converting is a CPU and memory consuming job, we’d recommend you to have at least 1GB processor and 512KB memory so that to take the best advantage of DRmare M4V Video Converter. To summarize, DRmare M4V Video Converter for Mac and Windows integrate with the DRM removal and video conversion features for iTunes movies, which offers a convenient solution to unlock iTunes videos’ DRM copyright protection and play them on more devices. It has a lot of benefits such as fast converting speed, intuitive design, high performance compared to other similar products. However, it is not perfect though. Currently it doesn’t support to import audio file to convert and the Windows version doesn’t support a lot of output format options. Anyway, the bottom line is that it is the most reliable DRM removal tool for iTunes videos at present.